A “stop” occurs when a police officer investigates a matter by approaching a person who does not feel the freedom to walk away. When a police officer has a reasonable suspicion that someone has or is engaged in criminal activity, such as being armed, an officer may frisk that person for guns, knives or other concealed weapons. For the issuance of a warrant, details regarding the person, place or things to be searched are required. There is no Fourth Amendment requirement that all search and seizure activities by law enforcement must be accompanied by a search warrant. Stop and frisk is one such exception to warrant requirements. While probable cause is needed for a search warrant, stop and frisk presents another exception where probable cause is not required, only reasonable suspicion. Stop and frisk programs and security points, such as in New York City, have created great scrutiny and debate about what is actually permissible under the U.S. Constitution. The justification for many stop and frisk programs is to protect officers and bystanders from hidden weapons. The legal precedent that established the “stop and frisk” law was the U.S Supreme Court case of Terry vs. Ohio. The “Terry Stop” is a stop and seizure term that originated from this famous case. The Supreme Court found that a stop and frisk is to be considered a type of search and seizure for which the Fourth Amendment would apply. A “stop” was considered to have occurred when a police officer does not allow a person suspected of a crime with the freedom to simply walk away. This case established criteria for this kind of search and seizure. Stop and frisk requires only the reasonable suspicion of the commission of a crime by a police officers. This is in contrast to the higher standard of probable cause, where the facts and circumstances would indicate to a reasonably intelligent person that a crime has been committed and that there is sufficient cause to investigate. Reasonable suspicion can be interpreted as more than a feeling that a crime is being committed but less than the probable cause. A “frisk” has been defined by the Supreme Court as a search of someone’s outer clothing for the presence of weapons. An officer must have a reasonable suspicion that the person being stopped may be armed which would justify a frisk. What Constitutes Reasonable Suspicion for a Stop? Flight after seeing police officers without any prior cause or provocation. What Constitutes Reasonable Cause for a Frisk? Reasonable suspicion that the person is armed and dangerous. If a police officer wants to frisk a suspect but lacks reasonable suspicion, the officer can request that the person consent to the search. This is sufficient and the requirement becomes unnecessary. What are the Limits of a Frisk? Assuming there is reasonable cause to frisk, the scope of the frisk is determined by what is reasonably necessary to find a concealed weapon. A switchblade or sheathed knife be easier to conceal than a handgun. 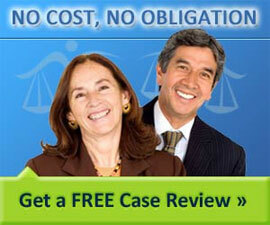 Do I Need a Criminal Lawyer or Civil Rights Attorney? In the event that you have been arrested or criminally charged as a result of a stop and frisk, it is important to speak to an experienced criminal defense lawyer. Criminal lawyers specialize in criminal court matters and can provide an expert defense by challenging the legality of a stop and frisk. Prosecuting an unwarranted stop and frisk violation is a civil court matter. A civil rights attorney specializes in matters concerning the U.S Constitution and the protection of basic human rights. Each of these legal counsel will have a very good understanding of whether a stop and frisk violation may have occurred in your particular case. Josh & Chuck from Stuff You Should Know did an excellent podcast on these subjects! Incredibly worthwhile listen. A frisk and search are two different things. A frisk is a simple pat down of the outermost garments to look for weapons. At least that's what taught in the NYC Police Academy.